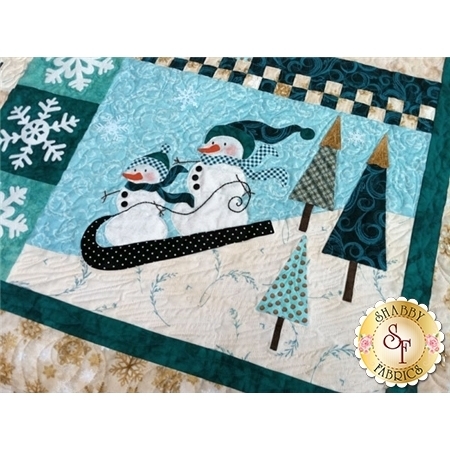 The fourth quilt in The Blessings Series is finally ready! 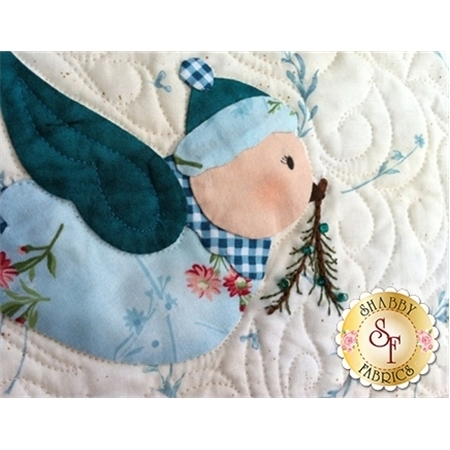 This beautiful design was created right here at Shabby Fabrics by Jennifer Bosworth. 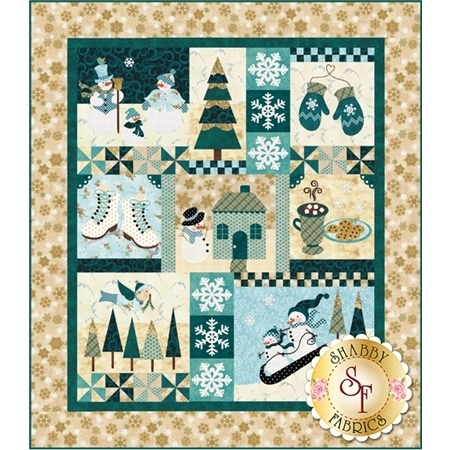 Finishing to 55" x 63", this wonderful quilt celebrates all the joys of crisp winter days with plenty of snowflakes, snowmen, ice skates, hot cocoa, and so much more! Snowflake embellishments add sparkle and interest. 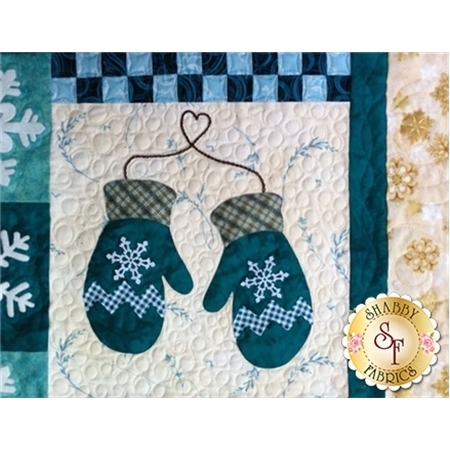 This pattern set includes full-color images of each block, a fabric selection guide, the Shabby Fabrics Applique Guide, and all instructions necessary to complete the quilt. 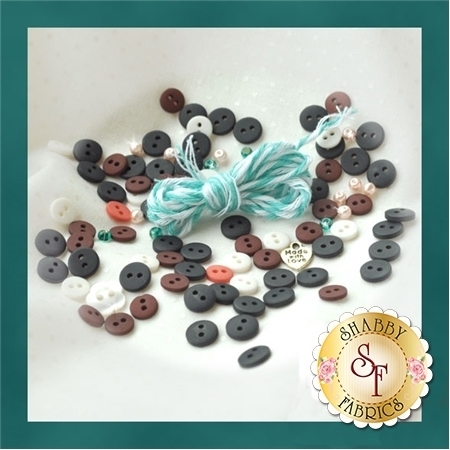 Add the 93-piece Embellishing Kit below for all of the buttons, beads, and other embellishments used to finish the quilt. 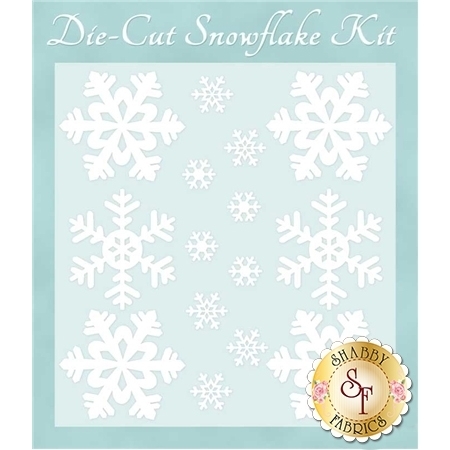 Add the 15-piece Die-Cut Snowflake Kit below to avoid the hassle of cutting each little snowflake!